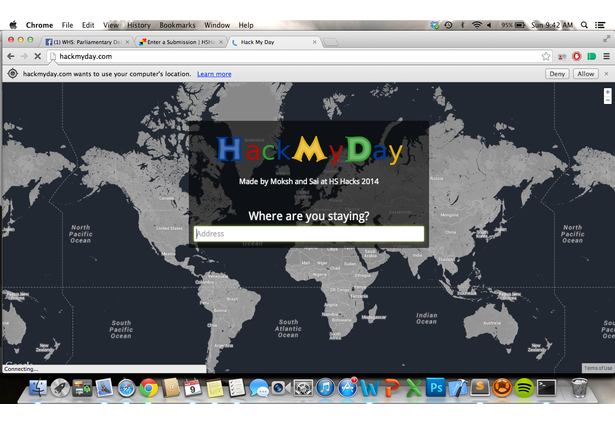 HackMyDay is a simple web app that builds travel itineraries for spontaneous day trips with a click of a button. 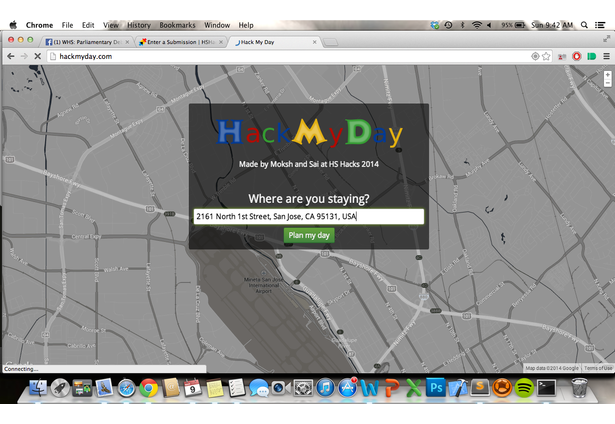 Enter in the address of a hotel in a city, and HackMyDay will generate a schedule consisting of popular locations nearby, including museums, malls, galleries, and landmarks, complete with breakfast, lunch, and dinner recommendations based on Foursquare data. Each itinerary takes you on a tour around the city with the day starting and ending at your hotel. 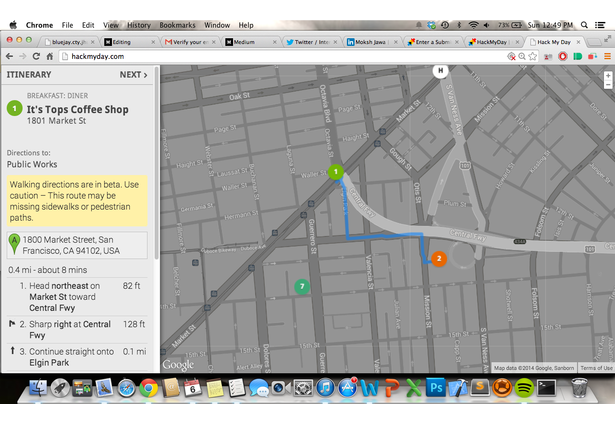 It's built entirely in the browser (no backend!) 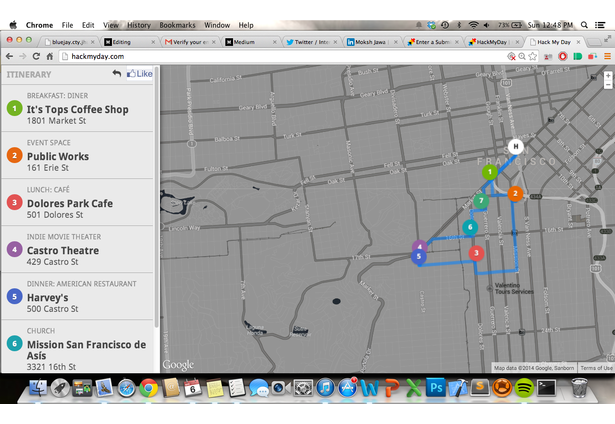 using AngularJS and the Google Maps APIs.